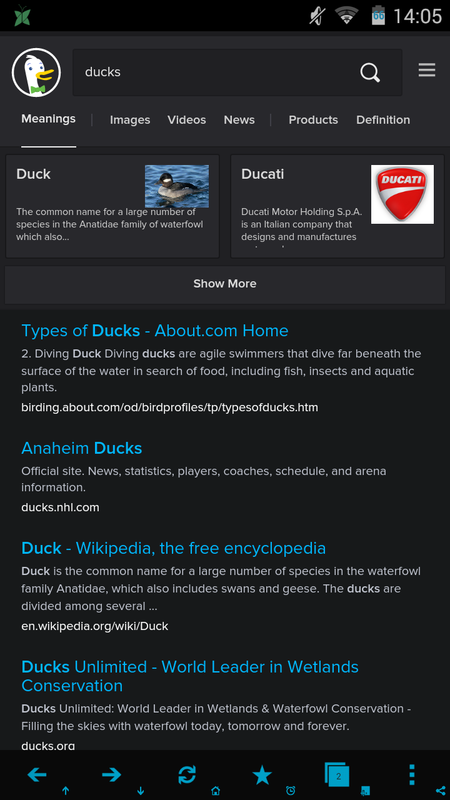 We get lots of positive feedback every day about DuckDuckGo, and one of the most frequent comments we hear is the fact that people love the themes and advanced settings. Being able to customize DDG is something we love too! But sometimes supporting all those settings across all of your devices can get tricky. For that reason, we’re going to be retiring the DDG font size setting. In our experience the native browser zooming functionality provides a better way to scale up/down the size of the page. Before we remove it we want to hear from people that are currently using the font size setting and make sure we aren't overlooking anything. Do you use the font size setting in DuckDuckGo? If so, why and on what environment? So, please leave the font size setting alone. I have a large Hi-Res monitor on my Windows PC and, as one of the other comments says, the zoom settings don't stick in Firefox. Having to zoom in every time I use DDG would not only be a nusiance but also a more RSI creating activity. I then shut down and restarted FF, opened a few non-DDG pages, then did another DDG search and the text zoom size that I had previously set was still enabled, which mean that, by default, FF does remember the zoom settings on a per website basis. If you are experiencing different results, you may want to test using a clean user profile or by running in Safe Mode. Hi, thanks for the comment. I tested this and you are right, FF remembers the zoom setting for each site now. Not sure when this changed but I had not noticed. Ha, yes, this does just change the text size. Or I can limit the size in prefs. The problem is this appears to be across all sites. Sometimes I do want to zoom the whole page (e.g. for a small picture). I think the difference is that most other sites are content, but DDG is a search app. Setting FF to do thes ame across all sites just for DDG can mess up a lot of cotent based sites. The problem is this appears to be across all sites. The zoom setting is site specific. FF will remember the zoom setting for each web site and will revert to normal zoom when a new web site is opened. (New pages on the same web site will retain the selected zoom setting). Sometimes I do want to zoom the whole page (e.g. for a small picture). Then you'll want to use the normal Zoom controls of Ctrl+, Ctrl- and Ctrl0 . By default it's slightly too small for me ( my sight is starting to decline). For mobile, it's really nice to have, as I find the "Normal" setting much too large (I like tiny fonts). 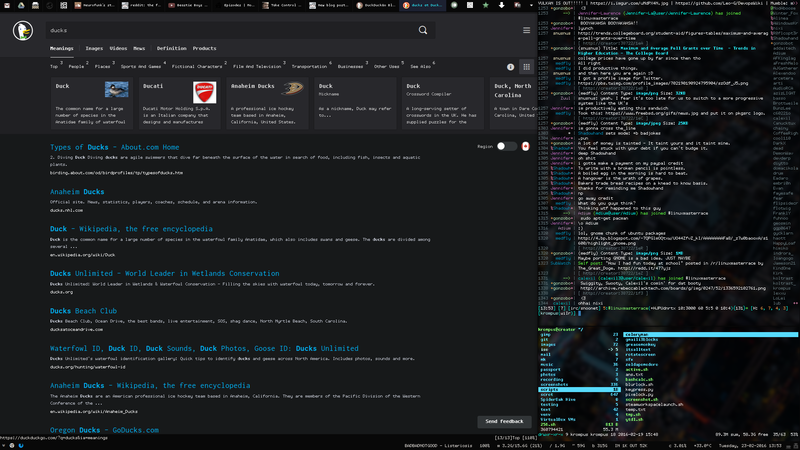 On desktop, I use it, but I suppose I could easily whip up a CSS stylesheet to tweak it. I like it the way it is, and I highly recommend that people set up multiple profiles if desired. Thanks again for the excellent customizability! I use it and have it set on medium. It's mostly a matter of taste. The browser zoom doesn't stick (at least which I know of in Firefox) and I just don't like that much the amount of space wasted when using the Large size. It's mostly a matter of personal preference. It wouldn't be horrible if the setting disappeared, but it'd be just a bit more annoying. Thanks for commenting. I just tried increasing the font size in Firefox (44.0) and restarting, and it seems to stick - the font remained at the increased size. Might be worth giving it another try? I use "large" as the font size in DDG. I do this because it makes the font about the same size as the most used font size ( that I come across ) on different web pages. That is also considering the default zoomlevel of 175% in my browser. if I am not lazy enough I am going to figure out how to set a custom css file that will flat out override the light styling and tiny font sizes that are used in some sites. and in a way so that it does not effect sites with a dark theme. Thanks for the detailed explanation. The current default font size is set to "Large" so if you keep your zoom level at 175% there shouldn't be any change for you. As long as you don't remove the ability to change the actual font I'm ok with it. I've never used the DDG font size setting, but I too am interested in why someone would use it over native browser zoom.